Metal Polishing sometimes known as finishing or buffing is the process of removing scratches and abrasions from a surface, and creating the desired brightness of finish on that surface. Polishing, like using sand paper, consists of procedures each of which is less abrasive than the previous. A combination of polishing buffing wheels and compounds are used with a buffing machine. No job to big or too small. Chrome is a metal, but it is not useful as a solid, pure substance. Things are never made of solid chrome. Rather, when you hear that something is chrome, what is really meant is that there is a thin layer of chrome, a plating of chrome, on the object (the bulk of the object usually being steel, but sometimes aluminum, brass, copper, or stainless steel). Chrome plating is more reflective (brighter), bluer (less pale, grayish, or yellowish), and more specular (the reflection is deeper, less distorted, more like a mirror) than other finishes, Our chrome is much better, we use the term "triple chrome" or “show quality” our process is Nickel strike, acid copper, bright nickel and chrome. The coating is typically applied electrostatically and is then cured under heat to allow it to flow and form a "skin". The powder may be a thermoplastic or a thermoset polymer. It is usually used to create a hard finish that is tougher than conventional paint. Powder coating is mainly used for coating of metals, such as household appliances, aluminium extrusions, drum hardware, and automobile and bicycle parts. 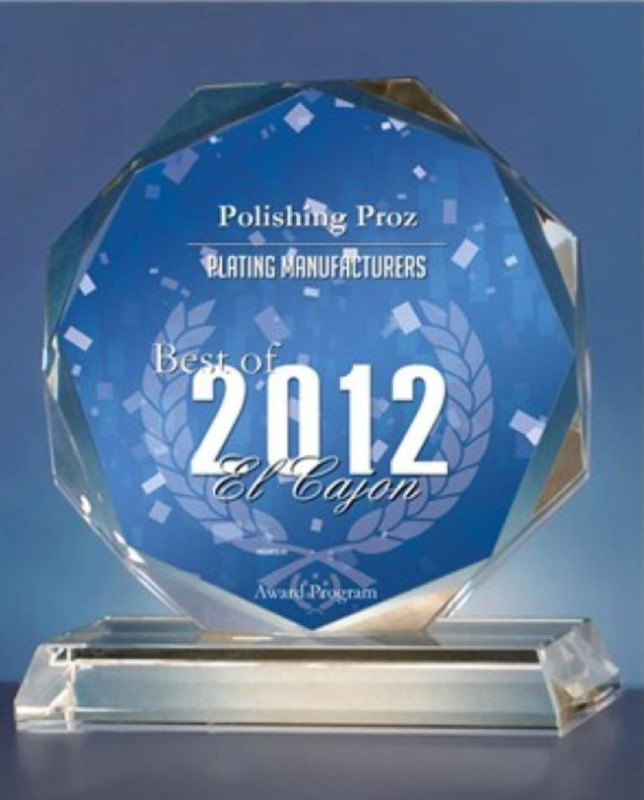 We offer a variety of custom, translucent and candy colors. The painting process is considered to be the application of a liquid organic coating to a substrate. Substrates can be plastic, wood, metal, ceramic, foam, etc. The “paint” can vary from solvent based to 100% solids in the case of UV curing liquids. So the paint can be liquid due to various carriers such as solvents or water to a two-part epoxy paint or UV curing paint that cure by cross-linking rather than drying by the evaporation of the carrier. 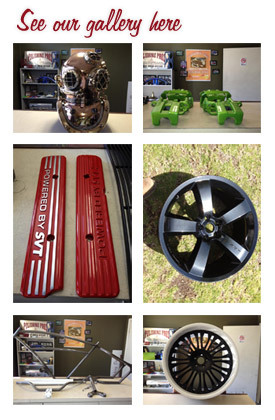 We also offer mil spec, aero space, and marine painting. Abrasive blasting is the operation of forcibly propelling a stream of abrasive material against a surface under high pressure to smooth a rough surface, roughen a smooth surface, shape a surface, or remove surface contaminants. No job too big or too small.